God's Blessings..: 2 more DAYS LEFT!!! OMG, it is coming SOOOOO QUICKLY!!! i can't believe that in a couple more days, we are LEAVING FOR DISNEY WORLD FLORIDA!!!! i haven't been able to really post because i have been sooooo busy getting everything together....we have been packing since this past weekend!! and with EASTER and all, well, time has just FLEW! we just had soooo much fun!! it was just amazing. 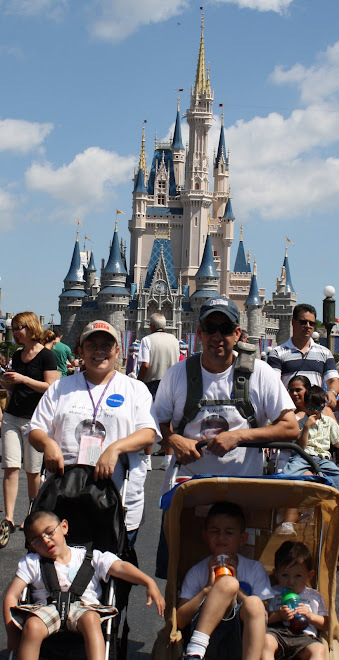 what MAKE-A-WISH does for their families, is just AMAZING!!! i am going to try to be a VOLUNTEER for MAW someday...i think for everything they do, i would DEFINETLY want to help them to do what they do best and that is make WISH KIDDOS get their WISHES GRANTED!! oh what a FEELING that must be!! Oh Maria, have a wonderful time!!!! MAW is such a beautiful thing to be involoved in - they are wonderful!